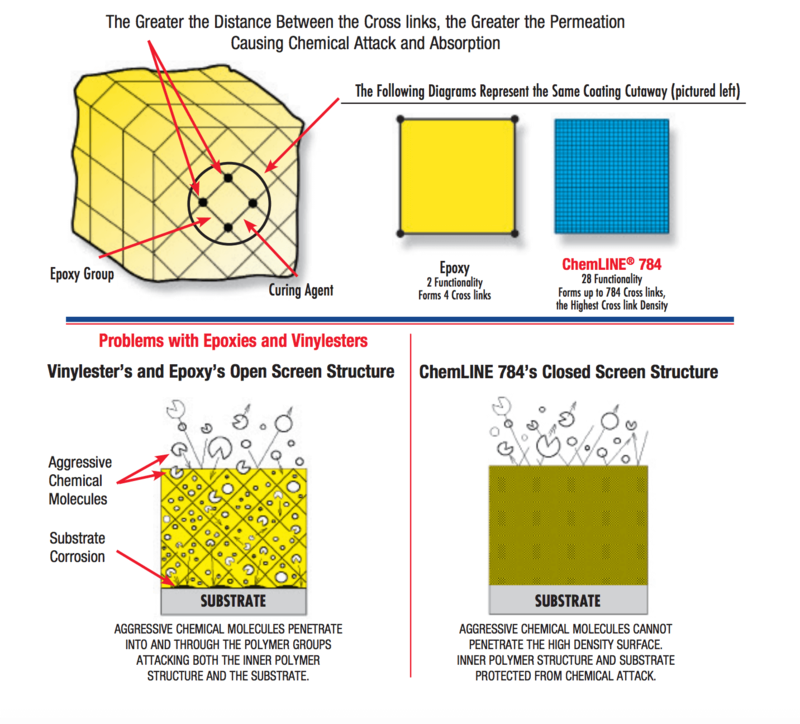 ChemLINE® 784 ES delivers significantly improved product performance and anti-corrosion resistance. ChemLINE® 784 ES is formulated with unique polymer technology, designed and engineered with high functionality. This translates in up to 784 cross-links versus four (4) for high temperature epoxies. For product recommendations and technical, application and heat curing information contact Advanced Polymer Coatings' customer service. Contact +1 440-937-6218. Chemical Processing - Tanks, flare tanks, reactor vessels, hazardous waste hauling, etc. Steel - Pickling tanks, acid storage, acid waste, neutralization, etc.